I am not only excited to share a delicious recipe with you all today, but I am thrilled to be sharing my first official post as a monthly contributor for HWTM! 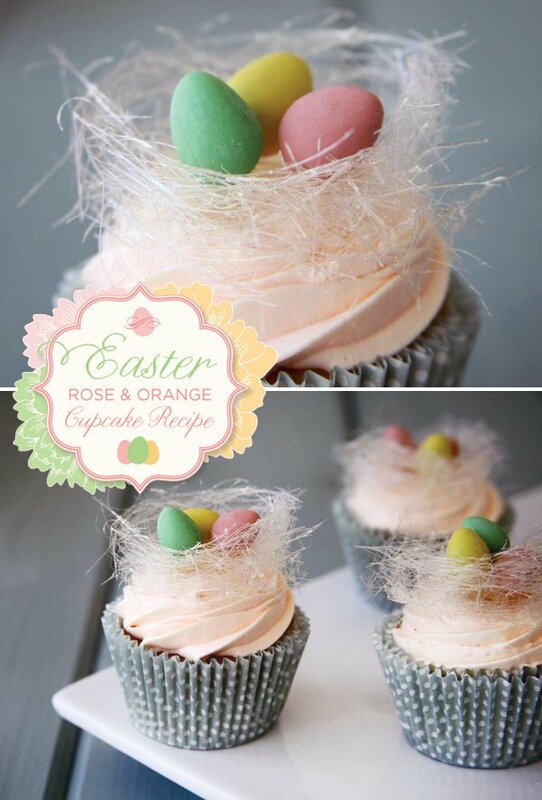 Tessa Huff here, from Tessa Huff Cake Design, and I have a perfectly spring Easter Rose and Orange Cupcakes Recipe for you. With spring on the horizon and Easter just around the corner, I was inspired by light citrus flavors and beautiful florals. 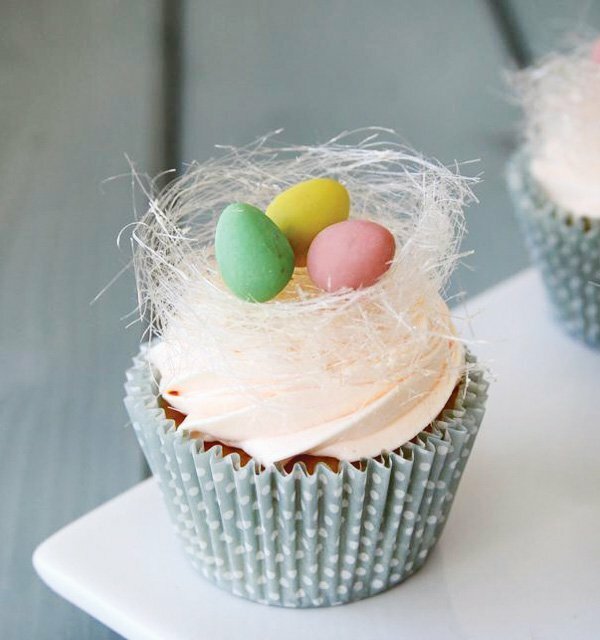 A hint of spice and stunning sugar work make these cupcakes the perfect centerpiece for any Easter celebration. 1. Preheat oven to 350 degrees. LIne cupcakes pans with cupcake liners and set aside. 2. 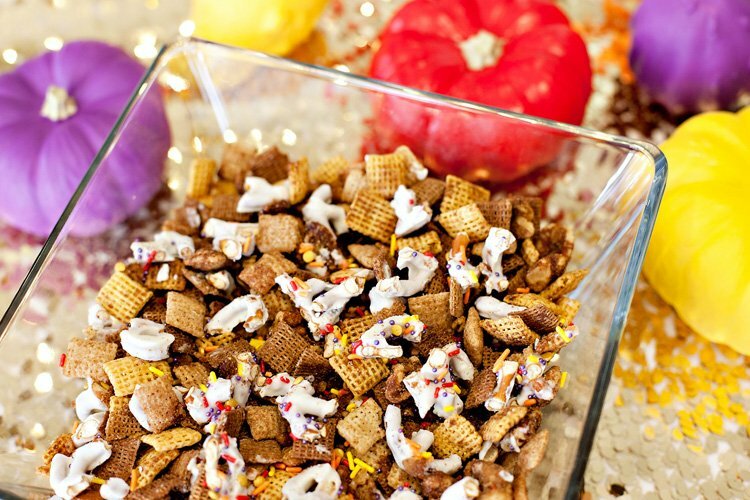 Sift together dry ingredients in a medium bowl and set aside. 3. In the bowl of an electric stand mixer, beat butter on medium speed with a paddle attachment. Pour in granulated sugar and mix until light and fluffy (about 5-8 minutes). 4. With your mixer on medium-low, gradually add in your egg yolks, vanilla, zest, and orange juice. Turn mixer off and scrape the bottom of the bowl with a rubber spatula. 5. With the mixer on low, carefully alternate your dry ingredients with the milk- ending and beginning with the flour mixture. 6. Divide batter evenly among the cupcakes liners, filling them about 2/3 full. Bake in the oven until done and the tops are slightly golden brown, about 20 minutes. Rotate pans halfway through baking. Cool on a wire rack. 1. In the bowl of an electric stand mixer, beat butter with a paddle attachment for 4-5 minutes. 2. Turn the mixer to low and gradually add in the remaining ingredients. Once incorporated, continue to mix on medium speed until light and fluffy. Feel free to tint your buttercream any desired color. 1. 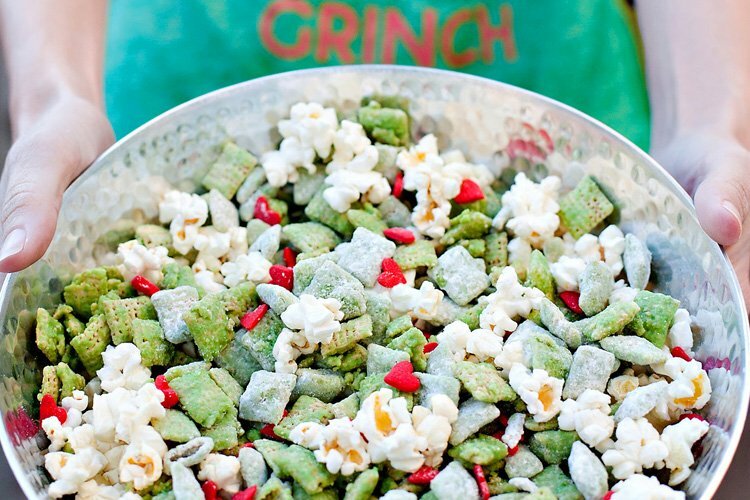 In a heavy-bottomed saucepan, combine 2 cups granulated sugar, 1/2 cup light corn syrup, and 1/2 cup water. Start to boil over high heat to the Hard Crack Stage ( about 305 degrees on a candy thermometer) This should take about 15 minutes, but be sure to watch your temperature near the end! 2. Meanwhile, prep your workspace. For this small project, use the handles of a couple wooden spoon anchored over your kitchen sink. This process may get messy, so be sure to clear of your workspace or cover it with a drop-cloth. 3. Once your sugar mixture reached the right temperature, remove it from the heat. Let the bubbles calm down before using (about a minute or so). Dip the prongs of a large fork into the sugar and begin waving it over the spoon handles. 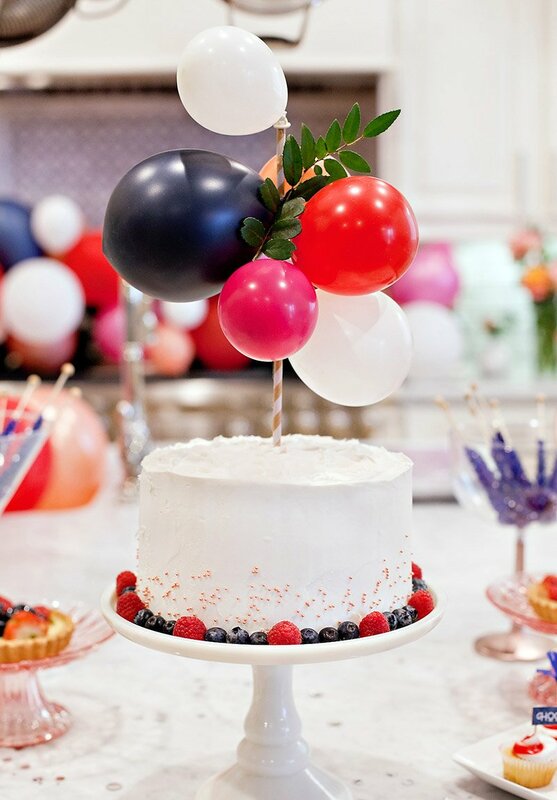 You should be “waving” at least a foot above, so the sugar has a chance to create long, stringy pieces. 4. 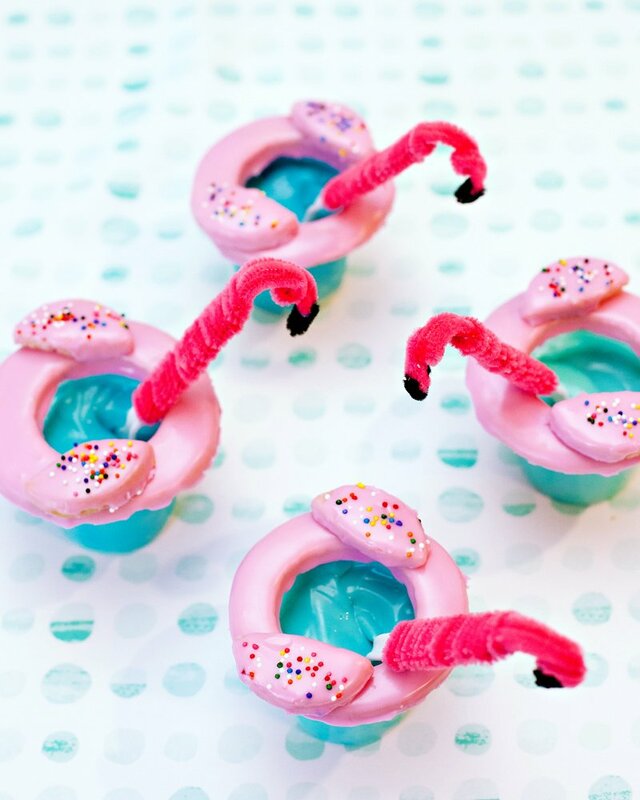 Carefully gather your sugar strands and mold them into small nests to adorn your cupcakes. Repeat until sugar has cooled. TIP: Work quickly but methodically. You will want to create enough sugar strands before the mixture cools and hardens. Use caution, the sugar will burn you if it comes in contact with your skin. Make the sugar nest the same day as serving. If covered or placed in the refrigerator, the nest will melt. Soak your used pot in warm water- the leftover sugar will eventually dissolve by the end of the day. 1. Fill a pastry bag fitted with your favorite medium-to-large piping tip with buttercream. 2. Making sure that the cupcakes are completely cook, swirl buttercream on top of cupcakes. 3. 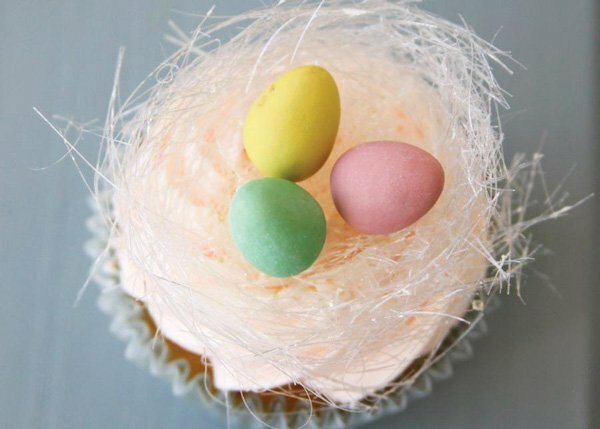 Place gathered spun-sugar nests on top of buttercream. 4. Top with chocolate eggs, if desired. 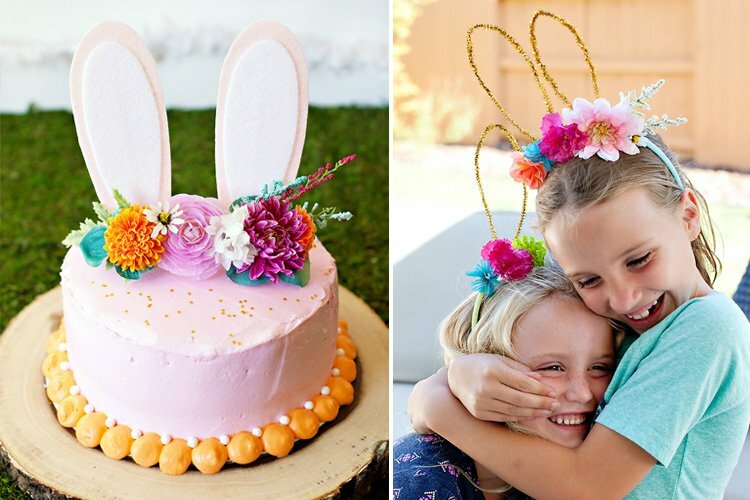 Tessa Huff is a cake designer, specialty chef, and event stylist. Huff has always perceived pastry as edible art and had been quite the artist herself since a very young age. She began studying ballet and performance art at age four, and continued dancing into her early twenties. Huff has always been involved in music and theatre, and has a great appreciation for art in all of its forms. After receiving her Bachelor of Arts degree in Communication from the University of California, Davis, she decided to turn her passion of the culinary arts into a career. Huff recently moved from her hometown in Northern California to Vancouver, BC. She is currently expanding her recipe box, polishing her photography skills, a blogging about her new culinary and crafting adventures. 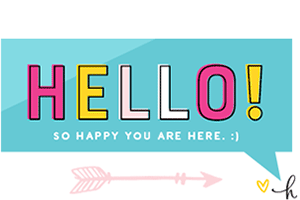 In addition to HWTM, you may follow her monthly contributions on Best Friends for Frosting, Bird’s Party, and Half Baked: The Cake Blog. Look out for her work in the upcoming book ”Frostings,” by Courtney Whitmore, this summer. I tried these cupcakes and the flavor combo was awesome.